Imagine being kicked in the shin. Repeatedly, over and over again, for almost two hours. That is what it feels like to watch The Star Wars Holiday Special. I normally try to stay away from writing about bad movies on this blog (although on occasion I make an exception or two), but this is one you just need to experience because, you know, you have to see it to believe it. Everyone knows that the first Star Wars film premiered in 1977. Less well known is that The Empire Strikes Back (1980) was actually not the second part of the saga. 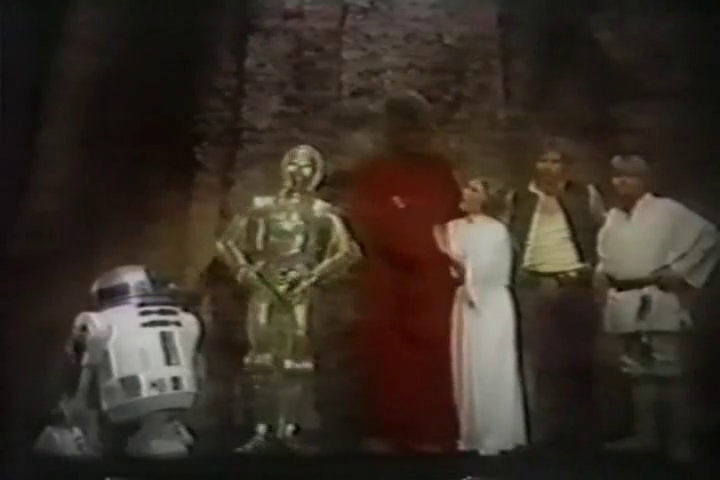 That honour goes to The Star Wars Holiday Special, which made its TV premiere for the Christmas season of 1978. Here, you will see Mark Hamill, Harrison Ford, Carrie Fisher, Anthony Daniels (C3PO), Peter Mayhew (Chewbacca) and James Earl Jones (voice of Darth Vader) reprising their roles from the first film. However, none of these are the main characters. Instead, the action centres around Chewbacca’s family – his father, wife and son – living in a tree house that would have made Johnny Weissmuller green with envy. This is where the Holiday Special’s problems start. Through much of the film, these relatives just walk around, howling their lungs out in poor imitation of wookie language (which, embarrassingly, was created by Ben Burtt himself). The so-called story, about Chewie having to make it back home in time for celebrating the all-important Life Day holiday, is stupid enough in itself, but every step of the execution just keeps making it worse, and then worse again. There is actually one segment of the Special that is rather good (when compared with the rest). About halfway through, there is a ten-minute animated short film. The inclusion of this is incredibly silly, plot-wise speaking, but when seen in isolation, the animation (which is not in any significant way connected with the rest of the plot) has a number of redeeming features. Sure, the animation is a bit too cartoonish and the voice actors (also the original cast, as far as I can tell) certainly did not put their souls into the job. But on the other hand, and very much unlike the rest of the Special, it has a lot of nice Star Wars-esque alien planet environments. The story is simple but not bad. As an oddity under the Star Wars brand, this short is well worth exploring. Also, it is the first-ever appearance of Boba Fett. 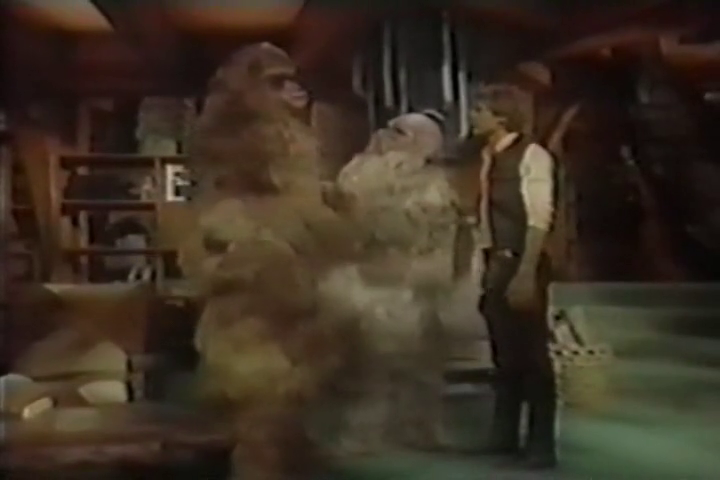 Since The Star Wars Holiday Special has never been restored and officially released after the original airing, copies found online tends to be of really low quality. The main copy at the Internet Archive is the best I have seen, with almost-decent technical quality. There is also another version available, with worse quality, but on the other hand it comes with all the commercials from the original airing. They provide a welcome break from the inanities of the Special, and also add some unintended entertainment of their own. This film is best enjoyed because you know that pain is your friend. Besides, what does not kill you will make you stronger. George Lucas has allegedly gone on record saying that, if he could, he would smash every existing copy of this film with a sledgehammer. This in itself is reason to watch it. Also, when properly applied it can actually be useful. Carrie Fisher has stated that she always puts this film on when she wants her late guests to leave the party. Normally, I do not include films that are considerably less than 40 minutes in length, but I am going to make an exception for The Crystal Egg. Partly, I do this because it is the only screen adaptation I have seen of a very good story by H.G. 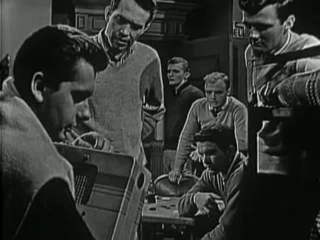 Wells (Wikipedia says that it was also adapted for a 2001 TV series, but I suspect that one may be hard to find), but also because it is an example of what American sci-fi fans could watch on television in the early 1950s. Specifically, it is an episode from the first season (out of two) of the anthology series Tales of Tomorrow. 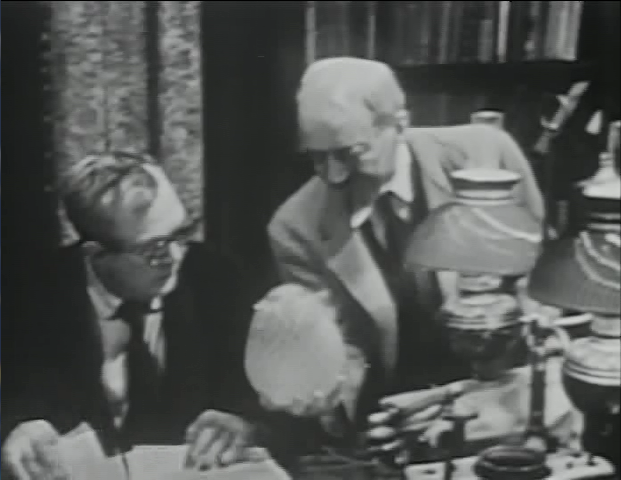 Tales of Tomorrow was all science fiction, usually based on literary sources. Famous examples include Twenty Thousand Leagues Under the Sea (not available at the Internet Archive) and Frankenstein. 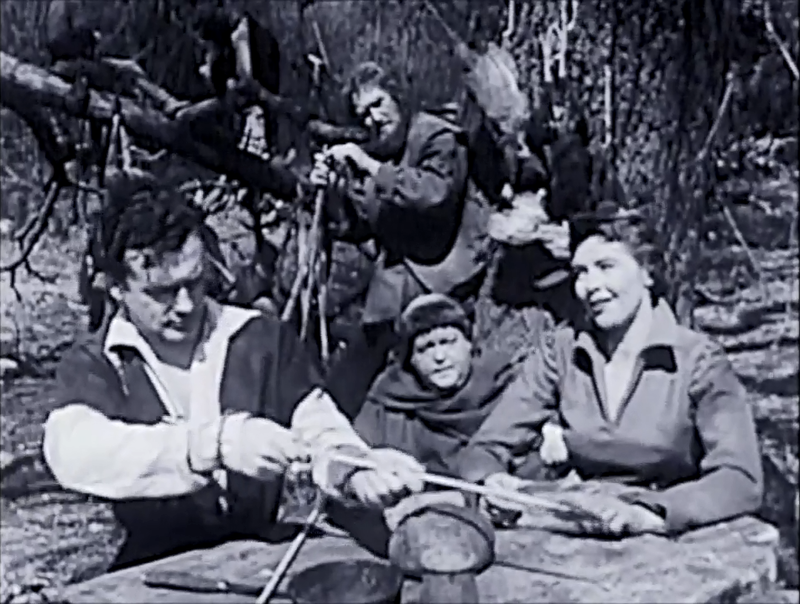 Like most early television, it was broadcast live. The Crystal Egg is the story about an antique shop owner who asks his friend to help him examine a strange crystal egg. The egg turns out to produce strange images that can only come from the planet Mars. In the episode (but not in the original story) there is also a mysterious stranger who wants the egg for himself. The TV episode makes a number of changes to Wells’ story, but in my opinion these are tastefully executed in order to make the story suited for the short TV format. Tales of Tomorrow is notorious because of the uneven quality of its actors. The Crystal Egg illustrates this well. Thomas Mitchell is good as Professor Vaneck (Mr. Wace in the original story), whereas Sally Gracie as his girlfriend can barely remember her few lines. 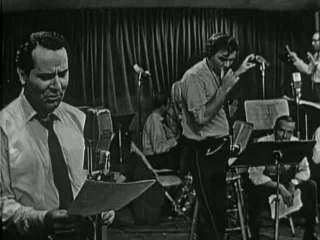 Little problems like this shine through very clearly in a live broadcast, but today it must be considered part of the charm of old-time television. Another problem is image quality. Old television shows with good images are practically non-existent. 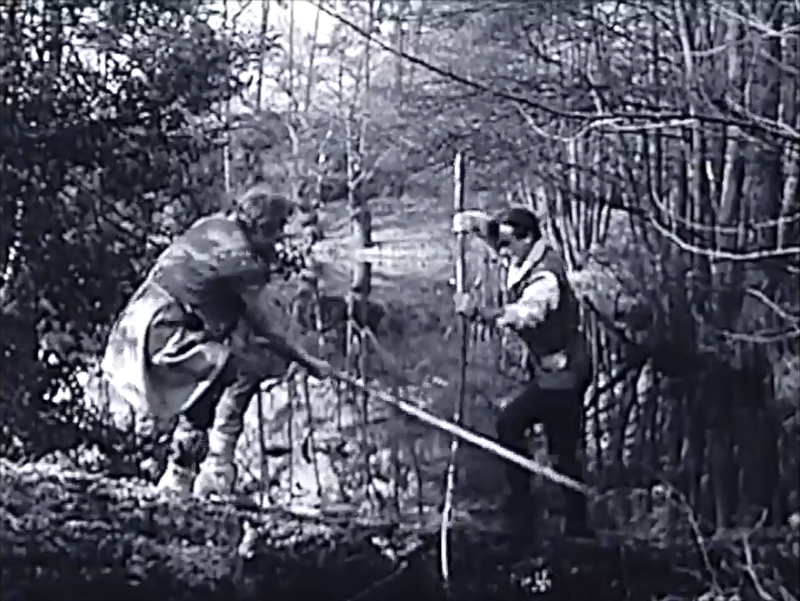 This is because video technology had not yet been invented, so episodes had to be filmed from a television screen, when they were preserved at all. Wells’ story is good enough to be interesting in itself, but also because there is a neverending debate among fans and scholars as to whether Wells intended it as a “prequel” to his famous novel The War of the Worlds. We shall never know whether he did, but it is always fun to speculate. This episode is best enjoyed as an introduction to Tales of Tomorrow. If you like it, a few dozen more episodes, including radio shows, are available. Many actors appear that either were famous already (e.g. Boris Karloff), or were to become famous (e.g. Paul Newman). One of the many genres that can be found at the Internet Archive is educational films. Most of these are quite old, and some are terribly outdated. Two examples of outdated but extremely interesting (not to mention amusing) films are Duck and Cover (1951) and Destination Earth (1956). But like most other educational films, those are too short to be relevant for this blog. 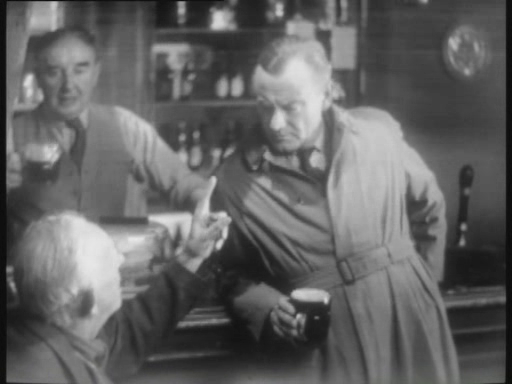 Better, both in terms of length and fact content, is one of the films that was produced as part of the classic The Bell Laboratory Science Series. 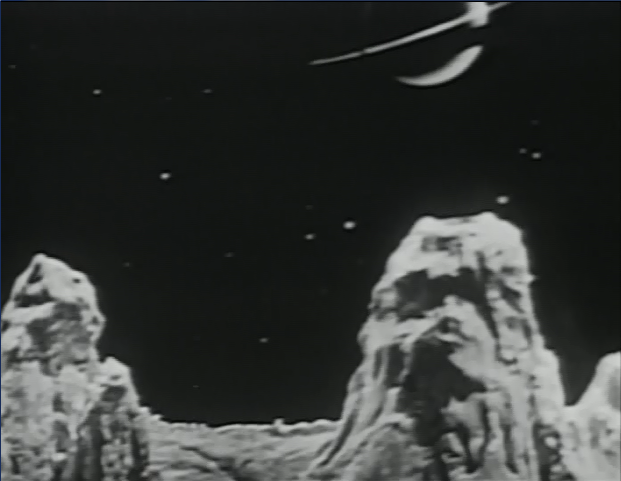 The series consisted of nine different educational films on scientific topics that were tremendously popular and influential in the 1950s and 1960s. The one that has been chosen for today’s post is The Alphabet Conspiracy. 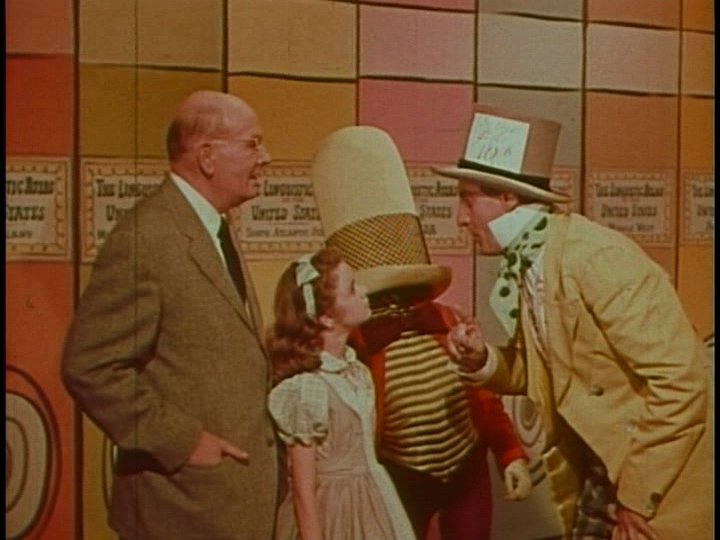 The choice was made not only because it has aged with reasonable dignity, but also because the film very neatly ties in with characters from Alice in Wonderland. 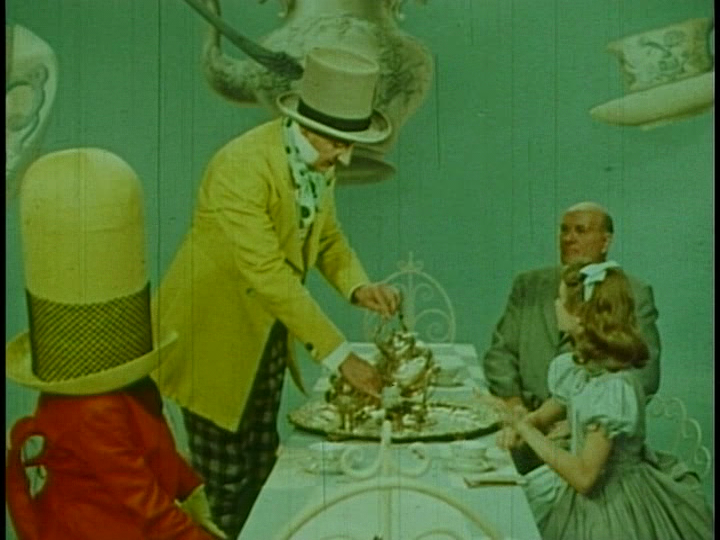 Throughout the film, the Mad Hatter and Jabberwock run around trying to devise a scheme to kill the alphabet (hence, the title of the film). The Alphabet Conspiracy is an old film and linguistics is an evolving field of science. Hence, some parts are a bit quaint or even outdated. For example, the part about baby language acquisition is not consistent with modern views. But unlike the above-mentioned short films (which are perhaps bordering on propaganda), The Alphabet Conspiracy was firmly grounded in the science of its day. Even now, it is not laughable. Just a bit old. But even while care must be taken with the fact content, perhaps the content is not what is most important anymore. Far more interesting is the dramatic structure, including the fantastic sets, the nice animations, the literary characters, the neat dialogue and the slow-moving but effective cutting. In these respects, The Alphabet Conspiracy outshines most of its contemporary competition, and even most present-day educational films. I work as a teacher. I know these things far too well. 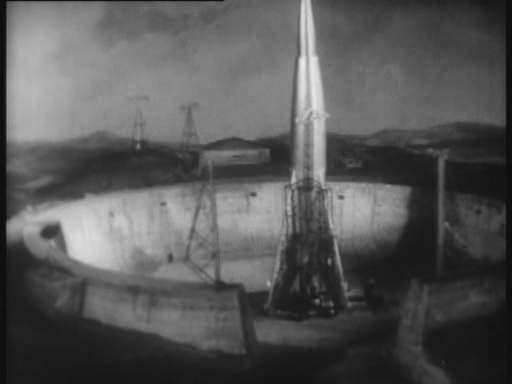 Several other films from the same series are available at the Internet Archive. Those I have been able to track down are Our Mr. Sun (1956), Gateways to the Mind (1958) and Thread of Life (1960). The one I had most wanted to see, however, is not there, namely The Restless Sea (1964). It is the last film in the series, and it has Walt Disney as host. This film is best enjoyed if you want to learn some basic facts about linguistics, or if you just want to enjoy the nice Alice in Wonderland references, or the fine animations. Or if you simply want to admire some classic, not to mention classy, educational material. 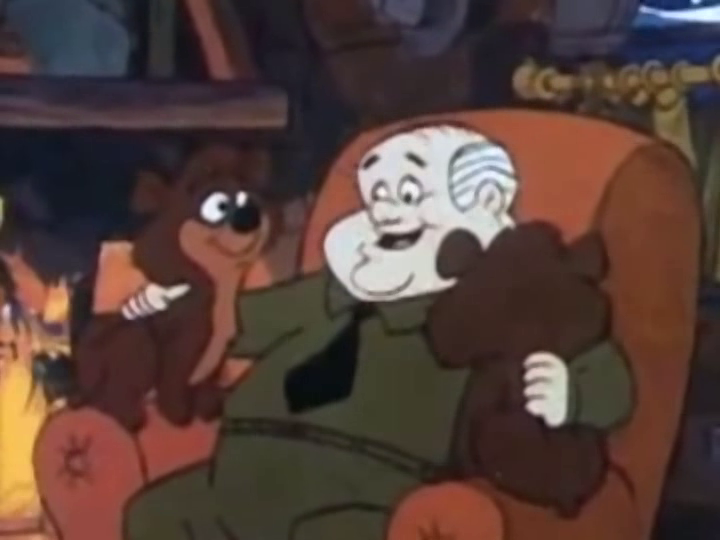 When Santa and the Three Bears was first offered as a Christmas special to various American TV networks, they declined, saying that it did not include an antagonist. This goes to show just how stuck people often are in the preconceived Hollywood notions of how a story is supposed to be told. So there is no evil nemesis in Santa and the Three Bears. Just an old and kindly park ranger and a bear mother with her two cubs. The cubs learn about Christmas and want the ranger to tell them more about it. So they decide to wait up for Santa Claus, instead of going into hibernation. Sounds boring? It is not. Not unless you are absolutely allergic to a bit of sentimentality which, admittedly, this film has its share of. The film is also filled with music. Original music, yet it fits perfectly with the Christmas theme. If you love Christmas music, then you are going to love the music for this film. 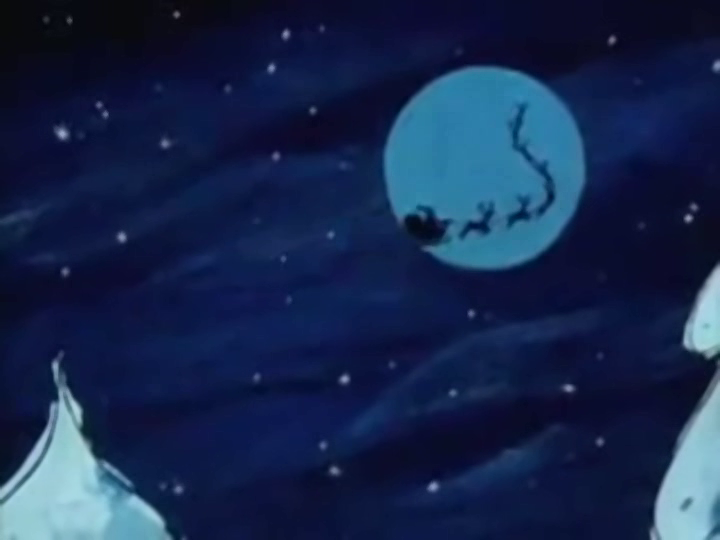 Santa and the Three Bears is certainly not the most polished piece of animation. It looks mostly like some low-budget Hanna Barbera cartoon. But that is easy to forget and forgive when the beauty of the story starts to kick in. This film is best enjoyed while getting into the mood for the Christmas season, especially if you fancy the American variety of Christmas.